So, this has to be one of the weirdest things I’ve seen this Christmas. 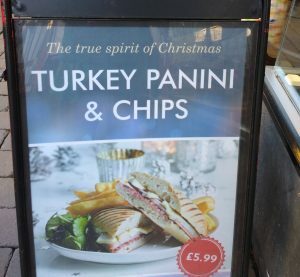 “The true spirit of Christmas: Turkey panini and chips”. I mean, what? Who wrote that, and why? And why are they still working in advertising? ?